﻿ Chiropractic care in Oregon City: contact our chiropractor today! Our clinic is looking forward to helping you with your chiropractic needs! Dr. Tolonen provides care for many complaints, including those related to auto injury, sports injury, pregnancy, and of course general chiropractic care. Your spinal health is important to us, and we are ready to help. 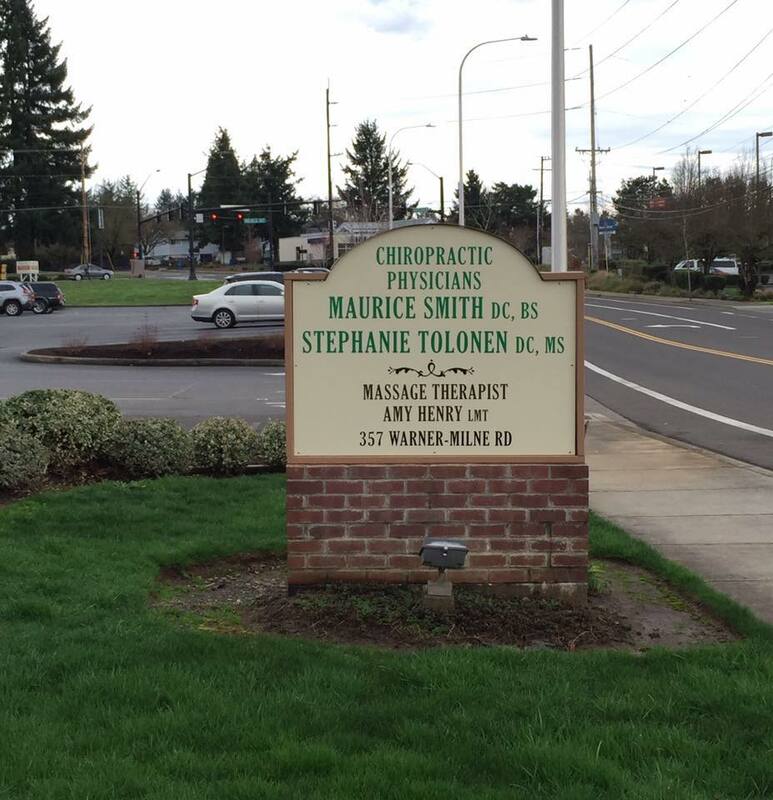 We are located within the same office as Dr. Maurice Smith, DC in the Hilltop-area of Oregon City. Look for our sign! If you have questions, you can contact us at 503-482-6408. Our chiropractic clinic is open Monday-Saturday; please leave a message if we miss you. You can also reach us at Dr. Smith’s office number: 503-655-6780. You may contact us through email, using the form below.